Can You Scatter ashes Anywhere? Each state has laws affecting what happens to a body after death. For example, most states have unique rules about embalming, burial or cremation, scattering ashes, and how to get a death certificate. Here are some answers to common questions about post-death matters in New Hampshire. 6. Where can bodies be buried in New Hampshire? In New Hampshire, a death must be registered with the Division of Vital Records Administration within 36 hours and before final disposition of the body. (New Hampshire Statutes § 5-C:62.) Typically, the funeral home, mortuary, cremation organization, or other person in charge of the deceased person’s remains will prepare and file the death certificate. If you need to order copies of a death certificate after the time of death has passed, visit the website of the New Hampshire Division of Vital Records Administration. From the DVRA website, you can find instructions for ordering death certificates by mail. You must provide a copy of a valid ID, such as a government issued photo ID, at the time you order a death certificate. The first certified copy of a New Hampshire death certificate costs $15; additional copies are $10 each. In New Hampshire, certified copies of death certificates are available only to those who can show they have a “direct and tangible interest” in the record. (New Hampshire Statutes § 5-C:83.) This usually includes immediate family members, authorized legal representatives, and others who can show that they need the death certificate to establish a personal or property right. In New Hampshire, embalming is required only if a body will be “exposed to the public” for more than 24 hours. (See New Hampshire Statutes § 325:40-a.) Practically speaking, this is an unlikely situation unless, for example, the body were to be present at a wake lasting more than one day. A casket is often the single greatest expense incurred after a death. The cost of a casket can range from a simple $500 box to $20, 000 or more for an elaborate design. Some people prefer to forgo a casket altogether. Where can bodies be buried in New Hampshire? Most bodies are buried in established cemeteries, but burial on private property may be possible in New Hampshire. Before conducting a home burial or establishing a family cemetery, check with the town clerk for any local rules you must follow. (Some towns prohibit private burial grounds.) If you bury a body on private land, you must draw a map of the property showing the burial ground and file it with the property deed so the location will be clear to others in the future. For more details, see New Hampshire Statutes § 289.3. In New Hampshire, there are no state laws controlling where you may keep or scatter ashes. 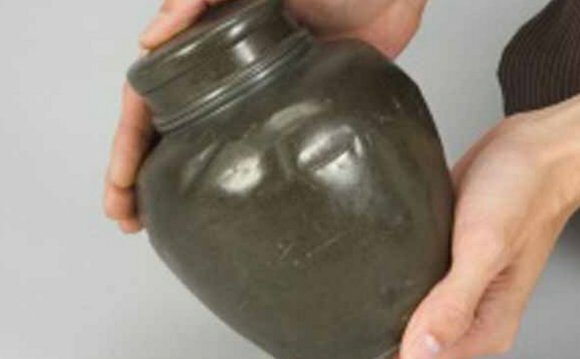 Ashes may be stored in a crypt, niche, grave, or container at home. If you wish to scatter ashes, you have many options. Cremation renders ashes harmless, so there is no public health risk involved in scattering ashes. Use common sense and refrain from scattering ashes in places where they would be obvious to others.